The Sometimes Preacher | Page 10 of 91 | Reflections on Jesus, Scripture, Theology, Ministry, and Church. Easter has always been one of my favorite holidays, but the reasons I love it have changed over time. When I was young, I loved Easter because of the chocolate baskets I received from a close family friend. We would go to her house Easter evening and I would anxiously await the chocolate boon to befall me. Each year, my basket contained a pastel rainbow of colored chocolate, Reese’s peanut butter eggs, and a large chocolate bunny. The first time I got the bunny my brain melted. It was huge! And chocolate! It would take me at least an hour to eat this whole thing! I was overwhelmed by this bunny with its colorful packaging and the rich, milk chocolate poured all the way through. But then I took my first bite. My teeth sank through this bunny much easier than I anticipated. I pulled it away in horror. This bunny is hollow! I’ve been cheated! It’s not fair! There wasn’t even caramel inside. 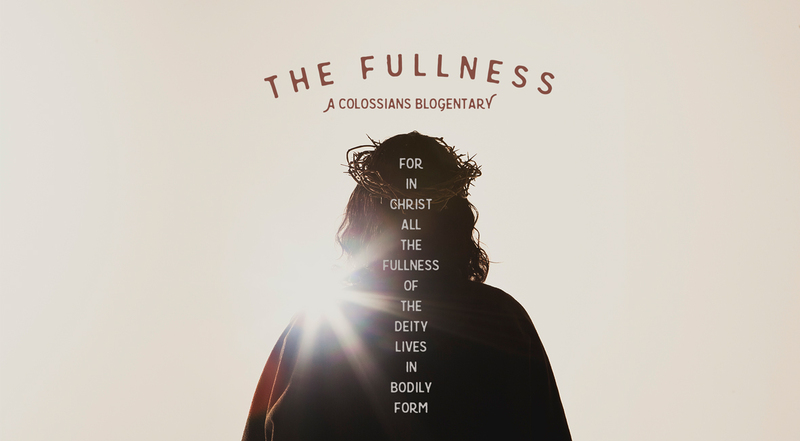 In Colossians 2:8, Paul warns believers against “hollow and deceptive philosophy.” Any teaching that does not depend on Christ, he says, is hollow. Like that giant chocolate bunny, it may look significant and life changing from the outside, but inside there’s just nothing to it. Any teaching, doctrine, or theology that removes Christ from the center is hollow, because nothing else can ever fill the void left by Jesus. But how can we tell the difference? How can we know when we encounter a hollow and deceptive philosophy? But none of these can be the center of our faith. These are all chocolate bunnies. They are hollow. They cannot possibly hope to replace Jesus as the center, because in him lives the fullness of the Deity. Christ is the center, and everything flows from him. Your responsibility is to draw life from your personal encounters with Jesus. Always be on your guard against what seeks to remove him from the core of your life and belief. I used to live in the house across the street from the church where I now minister. When I look out the windows in the back of the church, I can still see our old home and the huge trees towering above it in the backyard. During stormy nights I would lay awake in bed, anxious that these trees would topple onto the roof and crush our family. In June of 2012 we experienced a kind of storm that I had never heard of before: a derecho. 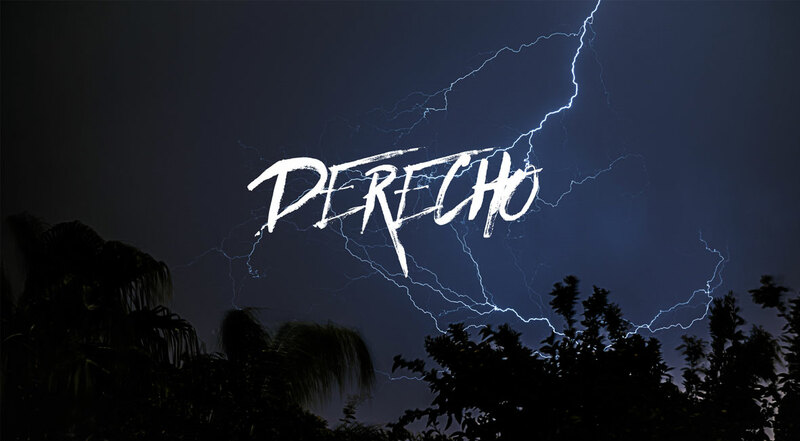 A derecho is a massive thunderstorm system with damaging straight line winds, which in this case reached up to 85 mph. After the storm passed our backyard looked like a jungle. There were tree branches everywhere. Our trampoline was crushed under a massive branch that had fallen at least 30 feet. It was nearly impossible to walk from the back door to the fence at the end of our property. Fortunately, the trees themselves were all still standing. But there sure was a lot of cleanup to do. Though parts of these massive trees came crashing to the ground, the trees themselves remained deeply and firmly rooted in the soil. For me, this became a picture of the strength we receive when we remain rooted in Christ. Little did we know at the time, but a terrible and deadly storm was looming on the horizon of our family’s life, and we would need those deep roots in Christ to keep us strong and steadfast. It is vital for believers to be, as Paul said in Colossians 2:7, “rooted and built up in Christ.” This means that we need to have a nourishing, life-giving relationship with Christ, while also being deeply connected to others within our churches. Your root system is your personal relationship with God and your relationships with others. It is crucial for you to invest in these relationships so that your roots will be deep in Christ. 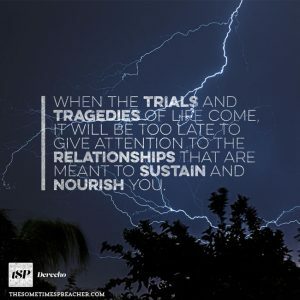 When the trials and tragedies of life come, it will be too late to give attention to the relationships that are meant to sustain and nourish you. One of the most important ways that you can deepen your relationship with God is through prayer. Jesus taught us to pray relationally, addressing God not by his proper name, but with the word Father. Prayer is relational, not transactional. It is not an opportunity to present your grocery list to the heavenly farmer; it is your opportunity to have a heart-level conversation with your heavenly Father. Being rooted in Christ means having a deep and vibrant relationship with God through prayer. Do not wait for life’s derechos to pray. Begin today. I love movies about con men. Two of my favorites are Dirty Rotten Scoundrels and Matchstick Men. There’s something fascinating about watching a character try to pull off an ever-increasing ruse on his unsuspecting victim. More often than not, in the movies the con man reaps what he sows, and himself becomes the victim of a con, often with hilarious results. But there is nothing hilarious about being deceived in the real world. In Colossians 2:4, Paul tells the believers that the reason he works so hard in the ministry is “so that no one may deceive you by fine-sounding arguments.” There are con men at work, he warns, and what they say might sound very reasonable, but it isn’t true. Paul is focused on pouring wisdom and understanding into the believers so that they won’t be taken in by these charlatans. What about you? Are you able to discern between “fine sounding arguments” and orthodox belief? Have you tapped into the riches of complete understanding in Christ, so that you are able to judge between truth and error? 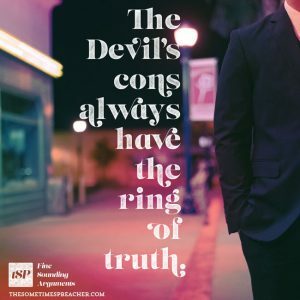 The devil’s cons always have the ring of truth. The best liars know how to make their lies sound true, and the devil is the world’s greatest liar. You need to be wise to his game, which means that you must be grounded in Christ. 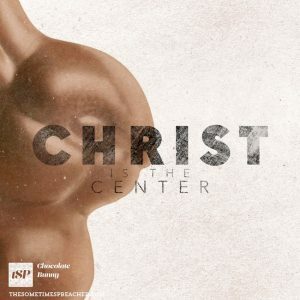 The truth is always centered around Christ. Is what you believe about God centered on Christ? Is what you believe about yourself centered on Christ? Is what you believe about history centered on Christ? Is what you believe about politics centered on Christ? Satan’s long con is to move Christ, inch by inch, away from the center of your belief and actions. He wants nothing more than to make you Christ-askew. It’s okay by him if Jesus is a part of your life, so long as he’s not the center, the source and driving force, of your life. So beware of his fine sounding arguments and anything that removes Jesus from the center of your faith. Money is useful, if you have it. You’ve probably noticed how quickly it disappears, though. Riches don’t last because the more money you have, the more expensive life seems to get. But what if there was a wealth that never ran out? What if there were riches that only increased the more you used them? This is the kind of money that truly matters. Paul never set out to make people financially rich. 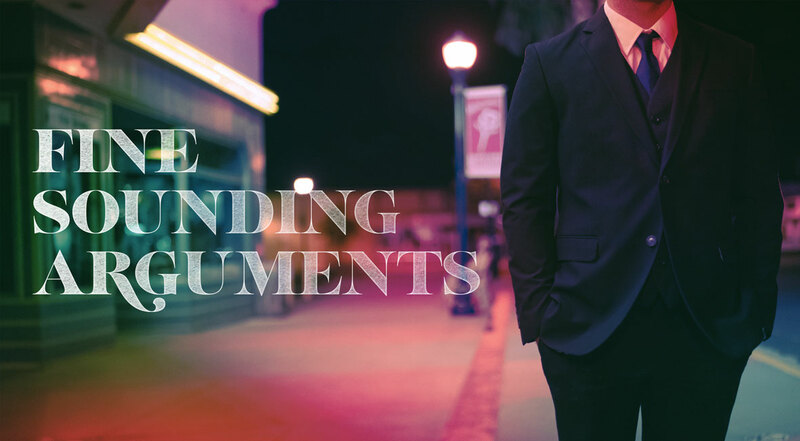 Instead, he worked hard every day to help his churches become rich with understanding. Paul had discovered the wealth of knowledge in Christ, who he calls the “mystery of God.” He knew that nobody could steal this money, and that the more he gave it away, the more he received in return. Is knowledge as valuable to you as money? Or are you broke when it comes to the riches of understanding? Too many Christians are settling for an elementary level understanding of God. Whether it’s because we’re distracted, lazy, or simply don’t know how to think well, we are impoverished in wisdom and knowledge. We don’t have the capital to purchase discernment on the difficult issues of life and faith. We stagger through life, wrought with inconsistency, burdened with foolishness, yet all the while the full riches of complete understanding are available to us. God never asks his children to check their brains at the door. Jesus has not come so that we will close our minds, but so that they will be opened wide to the wonders of wisdom and understanding. In Christ, Paul says, are hidden all the treasures of wisdom and knowledge. There is no excuse for a Christian to be ignorant, foolish, or stupid. It’s time for you to get to work making money, and I’m not talking about fat stacks. It’s time for you to engage your mind in the person of Christ. It’s time for you to make massive withdrawals from the Bank of the Church, which is rich beyond measure with the wisdom of books and the beauty of art. 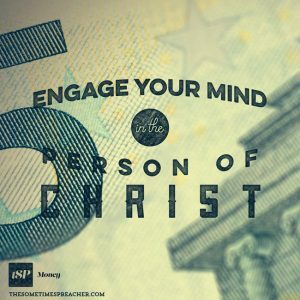 It’s time for you to discover the treasures of Christ, to unleash the power of your mind, and to bring your wisdom and discernment to bear in a world rife with idiocy. We cannot afford to raise another impoverished Christian. Instead, be rich. And in your wealth, make the world rich.